See Israel’s Incredible New Car, That Runs on Metal, Air & Water! Say Goodbye To Gas!! JOIN US LIVE ON ASK PASTOR SUNDAY NOW!! MUST SEE!! CHRISTIAN PASTOR COMPLETELY DESTROYS GAY PASTOR WITH THE TRUTH ON LIVE TV! 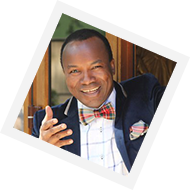 VIDEO- Pastor Sunday Speaks On Becoming The Future President Of Nigeria! Ex-President Of The Islamic Youth Organization Predicts the Collapse OF ISlam!! VIDÉOS- Conférence : chemin vers la liberté à Paris avec le pasteur Natalia Potopaeva.